This fall, PEN America is proud to take part in the 2018 annual Texas Book Festival. The Texas Book Festival aims to connect authors and readers through experiences that celebrate the culture of literacy, ideas, and imagination by featuring a rich variety of literary readings and panels, book signings, and more. 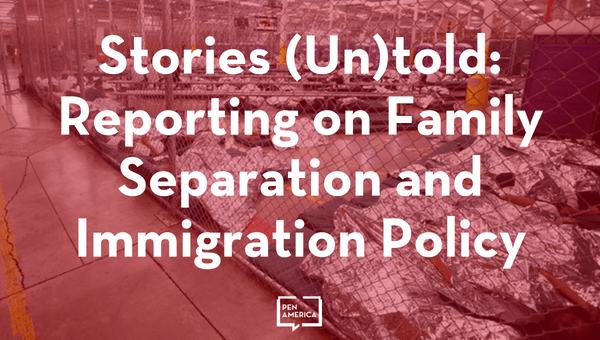 As part of the celebration, PEN America will present Stories (Un)Told, a panel on the challenges of reporting on the impact of family separations, and in telling the stories of those affected. PEN America is thrilled to take part in this celebration of the literary community of Texas. 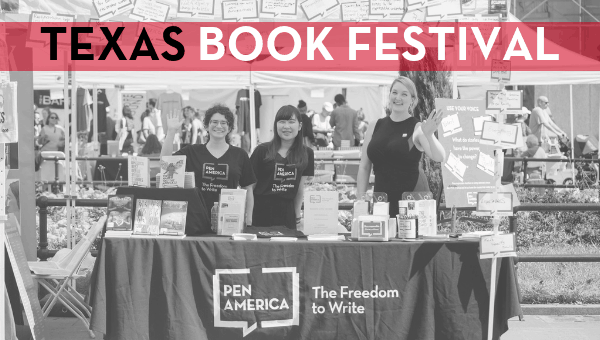 Be sure to stop by Booth #108 during the Festival for the chance to meet PEN America staff, learn more about our work, and to receive discounts on your Membership and PEN America publications. Writers and journalists want to tell the stories that grip and change society. But when trying to cover the impact of family separations, journalists reporting on immigration are routinely denied entrance to child detention centers. Dogged reporting mainly from outside—including obtaining a leaked audio of children’s cries for help from detention—initiated public outrage and prompted White House policy to shift. The ongoing lack of access to detention centers where children are placed by U.S. immigration authorities impedes the public’s right to know about these government actions and is a serious hindrance to independent press reporting. All this is set against the backdrop of traditional challenges that journalists face in finding and sharing the truth about immigration. Featuring Alfredo Corchado (The Dallas Morning News), Ginger Thompson (ProPublica), Lomi Kriel (Houston Chronicle), and moderated by Stephanie Elizondo Griest (Mexican Enough: My Life Between the Borderlines), this panel of journalists and writers will discuss the challenges in reporting on this vitally important public policy issue, and in telling the stories of those affected.